No other Digital Rights Management (DRM) software provides SoftwareShield™'s extreme range of powerful protection tools to safeguard what matters most - your Intellectual Property. SoftwareShield™’s IronWrap is a sophisticated protection system SoftwareShield™ uses to protect your software. 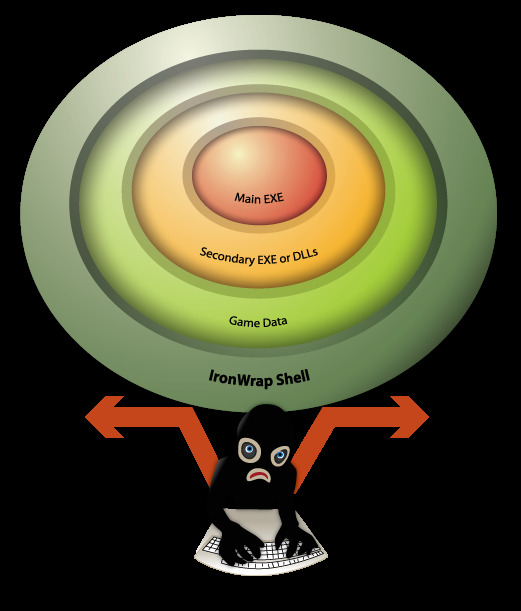 IronWrap essentially "wraps" a mini operating system around your software (and optionally, data) like a protective shield. This virtual system may contain a pre-defined license model, logic and customizable User Interface elements to allow the user to interact with the IronWrap system itself. The system combines a multi-dimensional array of methods to protect your product is a highly secure package. Extensive anti-hacking/cracking, code obfuscation, cryptographic machine-binding, tamper-proofing, encryption, compression, intrusion-detection and several secret and proprietary methodologies are used to keep your software safe. FingerPrinting (or Machine Locking) refers to a mechanism which SoftwareShield™ uses that will uniquely identify a particular computer by its various hardware, features, settings, serial numbers, memory address locations, characteristics, etc. If you choose to bind your license to the end-user's PC, you will enable the SoftwareShield™ FingerPrinting mechanism. This essentially encodes the client computer's "FingerPrint" into all Authorization Request Codes and, in-turn, the Activation Codes you remit to that client. This means that once your client purchases the software from you, the code to release copy protection that you provide them (as with other FingerPrinted codes) which works on their system, will not work on any other system. You can check your FingerPrinting with SoftwareShield™'s FingerPrint Viewer to optimize your settings. The SoftwareShield™ SDK is a DLL that you can integrate into your applications and it is this component that enforces your license for you. This rich (virtual) interface can be used in conjunction with the IronWrap system itself, for maximum flexibility. 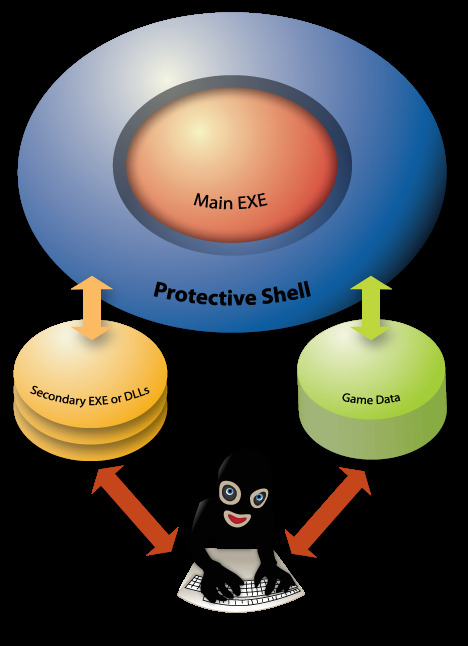 The SoftwareShield™ SDK enforces several logical protection mechanisms to protect against thieves and hackers who might try to defeat your license - from simply detecting backdating, detecting kernel mode debuggers, to demo reinstallation. Regardless of which method you choose, or at what level you choose to protect your software, the flexible and powerful nature of SoftwareShield™ makes it easy to implement a solution that is perfectly suited to your needs and required level of protection.